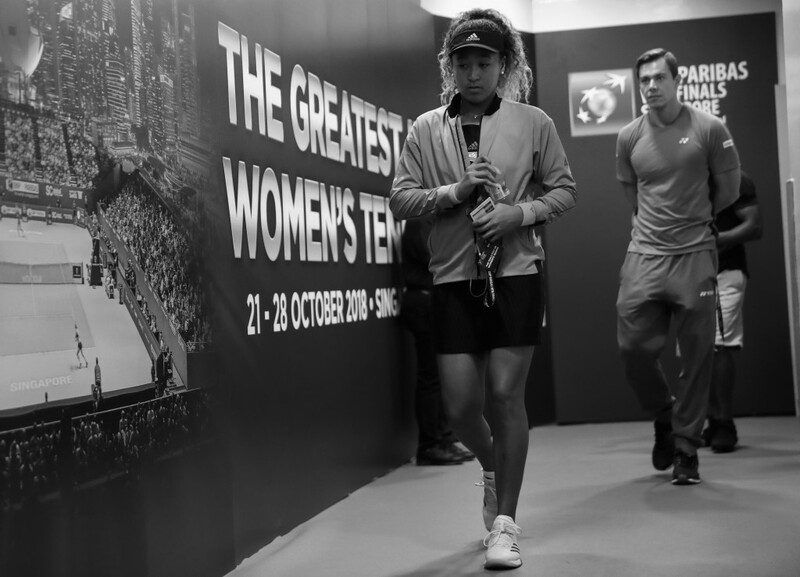 Naomi Osaka confessed it felt “depressing” not being able to summon her best form on her WTA Finals debut this week but her coach Sascha Bajin insists the team is still hopeful she can make the semis, despite losing both her group matches so far. 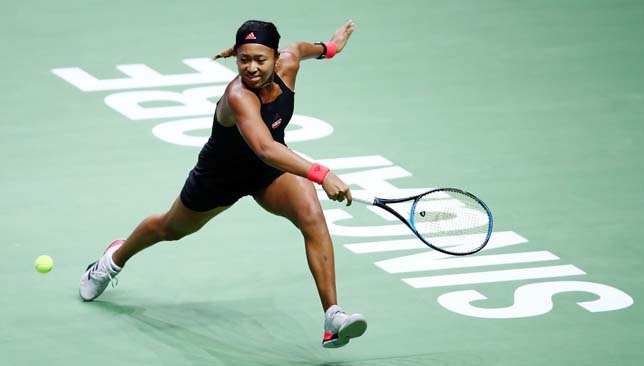 It’s been a wild season for Osaka and her camp, especially the last two months – a period that saw her win her maiden Grand Slam at the US Open, and follow that up by reaching the final of her home tournament in Tokyo, and the semis in Beijing. She is seeded No. 3 in Singapore and has a must-win clash with Kiki Bertens on Friday. A left hamstring injury seems to be bothering Osaka, although she wouldn’t discuss it during her press conference on Wednesday. Bajin maintains that they’re still “in it to win it”, knowing all four players in the Red Group can qualify for Saturday’s semis. Sport360 caught up with Bajin in Singapore on Thursday, to discuss Osaka’s success this season, how she’s swatting away any pressure, and how they plan to keep her star rising next year. 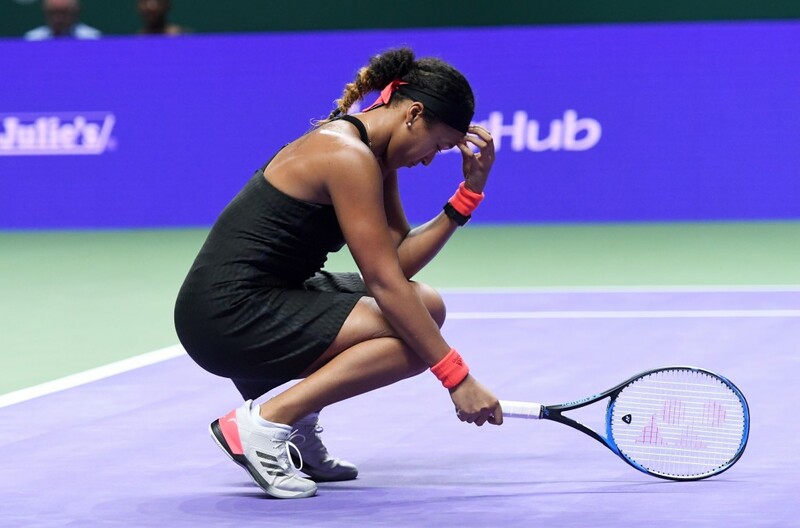 When I spoke to Naomi in Beijing, she talked about how the memory of winning the US Open final is still a sad one, because of everything that unfolded that day. What have you been telling her to try and change that memory into a happy one? It was really sad and to be honest we haven’t really spoken about it that much right after, she didn’t really want to speak about it and I respect that. Sometimes I’d slip or slide a little comment about the US Open, kind of trying to normalise the whole situation, and just make it look like any other tournament, but she wasn’t really too fond of it to speak. Going back to Tokyo, we talked a little bit about how she felt pressure, or how not, she said she didn’t feel that much pressure, which was surprising to me. Mostly we just tried to focus on making sure she feels good on court, off court, keeping her happy, and making sure that we keep our daily routine. That kind of distracts you from where your mind could wander off and keeping her busy definitely helped as well, not to over-think stuff. Naomi is a very smart girl, she figures a lot of things by herself, it wasn’t me so much going in and talking to her about you know, ‘Don’t do this, don’t do that, think like that’, no, she’s very good at that. When she says that maybe I want her to open up a little bit more because I’m the type of guy who always tries to help. So I had to learn a lot from Naomi that I have to trust my player as well a little bit more. But ultimately the more open you are and share your thoughts, which maybe because she’s a little bit more shy and young and hasn’t really learned to talk about, and it took me a long time to learn that as well in any relationship, not only with my player but with my mother, with my friends, with my girlfriend at the time, just to really open up and talk about feelings. It’s very hard and you need to trust the other person. Trust doesn’t come overnight, I understand that. I can’t force it. Ultimately I hope that Naomi sees that I only have her best interest at heart and that I only wish her well. The more she talks about it, the more she opens up and shares her thoughts the more I can understand what I need to do in what situation. Do you think it’s important for her to process everything that happened over the summer, and her US Open triumph, before she thinks about next season, so there aren’t any bottled up emotions? I think slowly in the offseason it’ll settle in. Everything has been going so fast, she was 74 after Hobart and now she’s here in Singapore, not many people expected that, I don’t know who did. Having a Grand Slam title definitely changed her life. I believe that a couple of days off, slowly it’s going to sink in. What was it like witnessing the reception she got in Japan after the US Open? I went back home after the US Open for one night and then I flew to Tokyo. She came after me, she went to Tokyo and I went to Tachikawa. So I didn’t see the reception she got at the airport. I’m not too sad about that because I heard it was crazy. Like a bunch of photographers and she held a press conference with over 400 media outlets and stuff, which is ridiculous, but beautiful to see as well that one individual can spark such a hype and create this big wave through a whole nation and being part of it makes me feel very proud and blessed. She says her form this week in Singapore has been “depressing”, any particular reason she can’t find her rhythm here? I think she struggles a little bit with the surface, with the balls. It’s so different from any other hard court. The court is very slow, it doesn’t feed into her. But yesterday when she told me she’s so sad that she can’t find a way to win. And I told her that, and I don’t want to sound cocky by any means, all these girls that are here are great champions, but I told her yesterday, ‘You played at like 70 per cent, and you’re still able to compete and are on the verge of winning against these Grand Slam champions, No. 2 in the world and against all these great players, that’s a good problem to have’. And then I reminded her about the first matches we had together, where the opponent wasn’t ranked this high, or had as big of a name and she was laughing about it and had a small smirk across her face. I tried to tell her and remind her how far she’s come and not to expect too much of herself and I know she’s trying really hard. To me, the biggest thing I tried to teach her this year was not to rate her performance just upon the outcome of the match, that’s just a result, that’s just a scoreline. Everything you do before that is what you should rate. And I think slowly she’ll see that. She loses the first set, still comes back wins the second, is I a winning position in the third against Kerber is beautiful to see; where before I heard maybe she would have let the second set go. And we’re still in it to win it, there’s still a chance to go. Have you been checking all the qualification scenarios for her? I’m checking. I haven’t slept all night, I’m checking for her and everybody else I guess. That’s my job. What are some specific things you’d like to see her improve moving forward, things you’ll work on during the offseason? We’re going to work hard on first-serve percentage, that’s something she has to improve. And mostly just maybe coming in a little bit more, taking time away from shorter alls, making sure she steps in on those and then finding her way to the net once or twice, like she’s done yesterday with good success. So I want to encourage her to do that more, making sure she makes the right decisions on court, understanding when to play what ball. Elina Svitolina credits a “mysterious man” for her shift in mentality that helped her enjoy success this week in Singapore, where she has won all three of her round robin matches to qualify for the semi-finals top of her group. The Ukrainian No. 6 seed came back from a set and a break down to defeat Caroline Wozniacki on Thursday and secure her spot in the final four of the season-ending championships. Her run at these WTA Finals comes on the heels of a difficult six months for Svitolina, who admits it was a struggle dealing with her sub-par results from the French Open onwards, as well as the constant scrutiny regarding her dramatic weight loss during the spring. She parted ways with her French coach Thierry Ascione after the US Open and had a very brief trial with Nick Saviano. “For me, going into this tournament was very important mentally to bounce back, and, you know, I had really, really tough second part of the season. I was actually — I was actually surprised, because I was very positive and I just keep fighting,” said the 24-year-old. “I stopped with my coach, with Thierry, and it was not easy. With all the things going on social media, with the opinions about my physique, it wasn’t easy. Svitolina, who is the first Ukrainian to qualify for the WTA Finals in singles, won three titles in the first five months of the season, in Brisbane, Dubai and Rome, but things changed for her after she made a surprise third round exit to Mihaela Buzarnescu at the French Open. “The period of six months I think after my bad performance at Roland Garros and then continued few tournaments that I didn’t play my best tennis I think made me stronger. I just decided what I have to do on court, off court, and that’s more clear now,” she says. “It’s tough to spot few things, but I have been working with Andy, and it’s like one more person that helps me, I had a conversation with. So I’m not going to say who’s that. Keep it to a mysterious man who made it clear what I have to do, and it a little bit opened my mind. So I’m really thankful for that man,” she added with a smile. Svitolina needed to win just one set from her match with Wozniacki on Thursday to reach the semis but things weren’t looking up for her when she trailed the Dane by a set and a break. Svitolina somehow turned things around and secured the second set on her fifth opportunity in a tense final game. Asked what lessons she feels she learned from the last six months, Svitolina said: “By knowing that I have to look only on my path and to don’t — you know, there is a thousand opinions, million opinions. I just have to do my job and go on court. I’m trying to win every point. I’m not giving any free points. Just want to continue that way. A beaming Karolina Pliskova could not hide her excitement after claiming her first victory over fellow Czech Petra Kvitova to secure a place in the WTA Finals semis for a second straight year. Pliskova was 0-3 against Kvitova entering Thursday’s clash, and had extra incentive to defeat her Fed Cup team-mate, admitting there has been tense history between them. While the full extent of the issues was never revealed, Czech coach Jiri Vanek told reporters in Singapore that Pliskova was not too pleased when he left her team to join Kvitova’s at the end of 2016. Pliskova had taken just one set off of Kvitova in their three previous meetings but on Thursday, she was determined to change that. The No. 7 needed 82 minutes to defeat Kvitova 6-3, 6-4 and post a tour-leading 49th victory of the 2018 season. “It was a huge victory for me. I’m not going to say [it wasn’t], because I never beat her, and there is some past between us that I just was fighting for this victory a lot,” said Pliskova after the match. “So it means a lot, and for sure, to get it to go to semi-finals after beating her, it’s just special. But obviously after the first set, I didn’t know that she cannot make the semis anymore, but it was more about me. Kvitova had won 27 of her last 28 matches against Czech players, with that sole defeat coming against Pliskova’s sister Kristyna in Charleston earlier this year. “I already saw my messages from my parents, and they said they are very happy that we both beat her,” added Pliskova. Kvitova ends her WTA season on a five-match losing streak – she hadn’t lost five in a row since 2010 – but still has plenty to be proud of, wrapping up a year in which she won five titles and returned to the top-five in the rankings. She still has the Fed Cup final coming up in Prague, where the Czech take on USA. “This season was always going to end with a smile on my face. No matter what. Was it a perfect week? No. Was it an incredible season? Yes. See you at the Fed Cup Final,” tweeted Kvitova.